This is a bingo that has been in existence for quite a while now. Some say that the name of the bingo is not that catchy. This could be the reason why it is not really that famous. Nevertheless, it has really awesome features that should not go unnoticed. Below are the features. 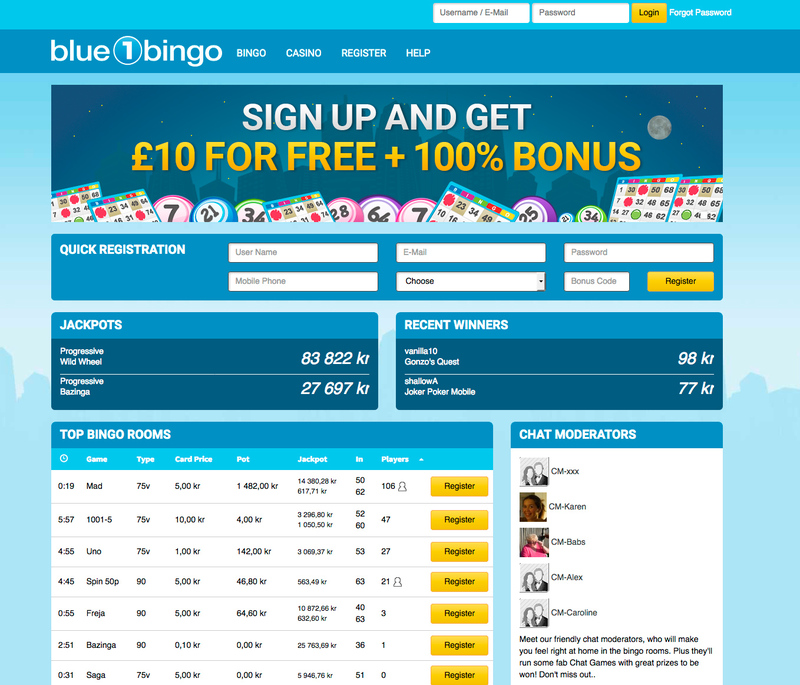 There are some promotions that are currently active thanks to Blue1 bingo. There are several of them, but the most important one that the players would really like to hear about is the welcome deposit bonus. Yes, this one exists. How this works is that players’ have their money doubled whenever they make their first deposit. Furthermore, one of the conditions surrounding this is that the funds have to be between €10 and €100. 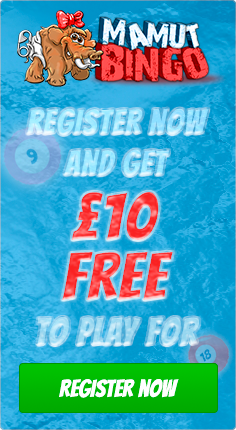 Also, there’s another one where players are awarded €10 as soon as the registration on the site is completed. It was first introduced into the world of gambling back in 2004 by the owners who are also, the operators. The owners are Innovus N.V. These owners also run several other bingo sites such as Bella bingo and Piggy bingo. Blue1 bingo is blue in colour just the way the name suggests. It has a design that displays almost all the important things that one should not really miss in a single interface. 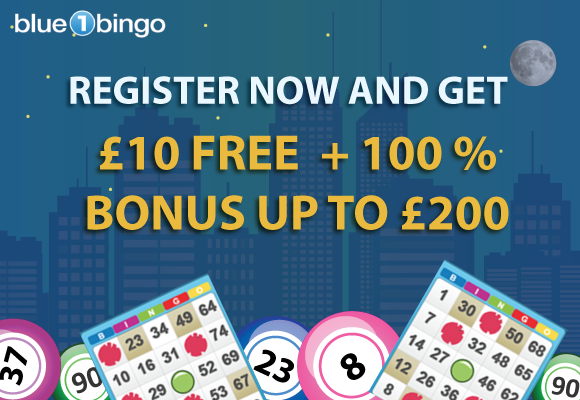 Most of the figures displayed on the home page of this bingo are shown in either Swedish Krona or British Pounds; although most of them are displayed in the Swedish currency. Since the owners are from Curacao, it means that this bingo had to acquire a license from the Curacao Gambling Commissioner and the United Kingdom Gambling Commission. It could be having a license from the UKGC but unfortunately, it is never allowed to dispatch its services to the UK residents. In fact, this is not the only country that restricts online gambling. There are several others which replicate the same. Those are the United States of America, Spain, France, Italy, Belgium, Russia, Afghanistan, Turkey, and a few more. First of all, Blue1 relies heavily on Aberrant software firm to develop software games for it. Without this Canadian firm, Blue1 bingo would be reduced to almost zero. So, kudos to Aberrant software. The IT firm develops software games that are quite good to play. Some are casino games while others are just bingo games. For instance, a Blue1 player can expect to find games such as 75-ball bingo, 80-ball bingo, 90-ball bingo, scratch cards, slot machines, video poker, and table games. From these categories, there are some games which are more popular than others, especially slot machine games which by the way are casino games. The ones that are frequently played or are popular include Mucho Moolah, Viking voyage, and Pappy Paws. The others are Uno, Bazinga, Golden star, Pharaoh’s fortune, Silver moon, Party keno, Zoo zillions, Dan, Variant, Forbidden city, Luck of the Irish, Tango Mango, 1001, and Gold rush. Also to note is the jackpot features. This online bingo room has some jackpots such as the Wild wheel, Pappy Paws, Aberrant Ultra Progressive, and Aberrant Nitro jackpot. Even though their values are displayed in Swedish Krona, they have different values whereby Pappy Paws jackpot is valued the most and Wild wheel being the one with the least value. Apparently, Blue1 bingo understands that customers’ satisfaction is the key to winning more customers from across the world. So, what it did to be a step ahead of the rest, is that it had to introduce or implement the SSL technology in its system. This technology ensures that the players’ data are never compromised at any single time of the day or the night. It encrypts the sensitive data with an SSL key which makes it difficult for hackers to retrieve the players’ private information. Going forward, any online room that intends to compete with the likes of Bella and Blue1 bingo should really think through about this SSL feature. There are several methods in which one (player) can choose from whenever he/she wants to make a deposit or withdrawals. Even before delving further into this matter, there are some currencies that are only allowed in the system of blue1 bingo. Such currencies are Euros, Swedish Krona, and Norwegian Krone. The following are the payment gateways that signed a deal with blue1 bingo in order to offer financial services to both the players and the bingo itself. They are Visa, Mastercard, Neteller, Skrill, Bank Transfer, and EntroPay. Of these, some allow huge withdrawal or deposit of funds by the players. Bank transfer is the only option that allows the players to withdraw or deposit as much money as €150000 into or out of their blue1 bingo accounts. The rest have a small range of limits. Even then, none of the above-mentioned options allow depositing or withdrawal of funds that are not more than €10. All these payment methods have their own transaction processing times. Though, most of them are instantaneous. Bank Transfer, the one which allows a lump sum of money in and out of the accounts, is the only option that takes up to 7 working days whenever it is processing the players’ requests. A player needs to note that there are some times when they might be asked by the Blue1 bingo to produce some documents to prove their identities. This happens especially whenever they want to withdraw a lump sum of money from their accounts. This is the only time that the transaction processing time might be elongated a little bit longer. But, they should not have anything to worry about if they have those documents. 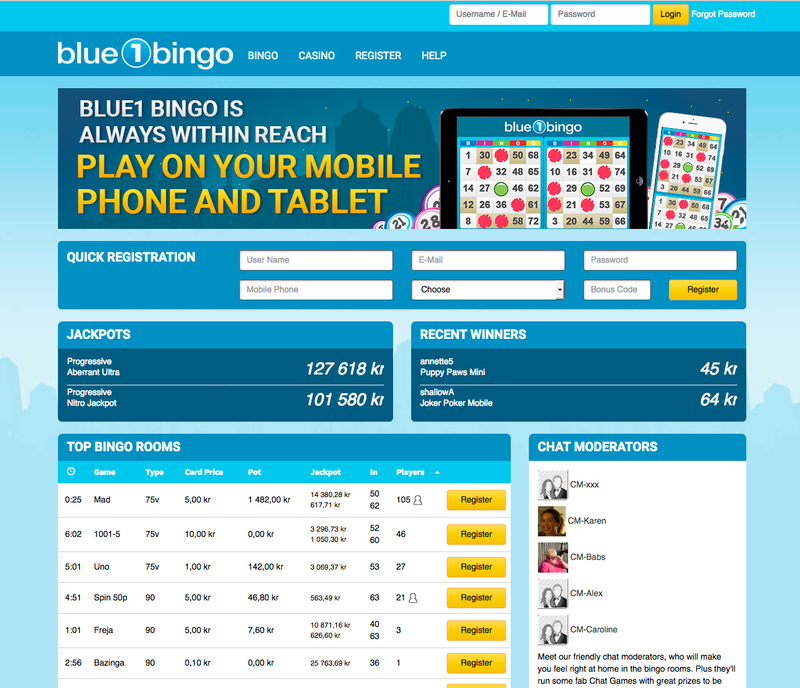 Blue1 bingo offers 24/7 customer support service. So, therefore, no player should get worried whenever they are faced with a challenge regarding blue1 bingo. 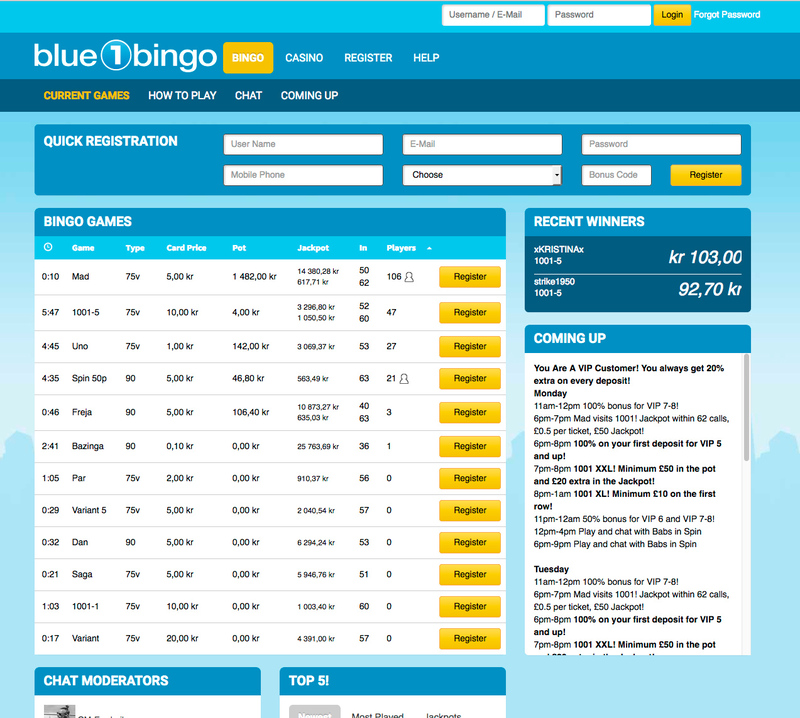 Those players are urged to get in touch with the blue1 bingo support team for any assistant. They can do that by sending an email to them using the email address that is provided at the Bingo’s website.